We work closely with a physiotherapist in the Kootenay region who has completed further studies in providing therapy for animals. 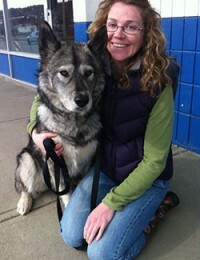 She is a member of the Animal Rehab Division of the Canadian Physiotherapy Association. Physical rehabilitation is very useful in assisting animals recover or manage musculoskeletal and spinal injuries or disease. Please call the clinic to make an appointment with us. 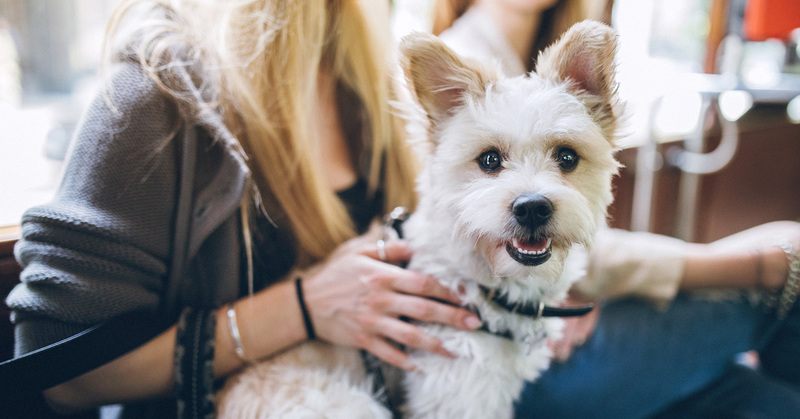 We’d love to discuss how we can help your furry friend with any of these additional services. Please call us at 778-481-5288 to speak to one of our caring veterinary staff members! 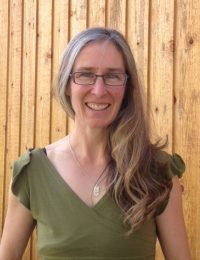 Dr. Kathryn Arbic is originally from Ontario, having obtained her veterinary medicine degree from the University of Guelph in 2009. Initially she worked at a vet clinic in Windsor ON. Wanting a change in lifestyle, she made the move out west with her cat, Tasha. She worked at a vet clinic in Prince George for 2 years. Then a job ad for the Kimberley/Cranbrook area caught her eye with the promise of a lot of sunshine days. In 2013 Kathryn made the move to Kimberley. Since moving west, she has adopted a Malamute mix and a Great Pyrenees. Kathryn has recognized a need for full time veterinary services in Kimberley and set out to create North Star Veterinary Clinic in 2015. 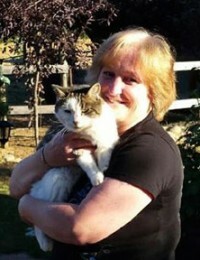 You will love her compassionate, gentle, and caring nature with your pets. She strives to always think of your pet’s health as if it was her own pet. 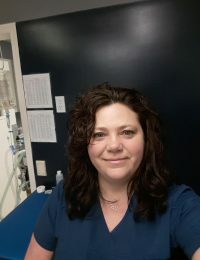 Denise has been living and working in the Kootenays since 1999 after graduating from the Western College of Veterinary Medicine in Saskatoon. 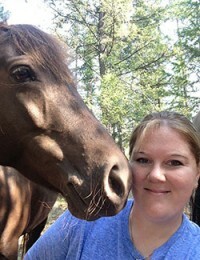 She has worked in Cranbrook for the past 18 years, first with Cranbrook Veterinary Hospital and most recently with Tanglefoot Veterinary Services. Denise is thoroughly looking forward to practicing in her hometown of Kimberley. Denise lives in the St. Mary’s Valley with her 3 boys, a dog, and a cat. She enjoys off-grid living and is an outdoor enthusiast engaging in many mountain sports. Chelsey graduated from the Veterinary Technician Program at Olds College in Olds, AB in 2011. She then completed the required examinations to become a Registered Veterinary Technologist (RVT). Along with her general technical duties, Chelsey plays a key role in follow-up care for some of our chronic care patients, routinely discussing patient progress with pet owners and reporting her findings back to the appropriate veterinarian. Chelsey plays a major role in helping our practice closely monitor and fine-tune treatment protocols. She has a special interest in all things feline. Debbie is a graduate of veterinary technology from Fairview College. She has over 20 years experience as a veterinary technician and has a special interest in dentistry. Technicians perform dental cleaning, take x-rays and assist the veterinarian with any advanced dental procedures your pet may need. She is originally from Red Deer, AB but has been living and working in the Kootenays for many years. She lives in Kimberley with her husband, 2 kids, 2 dogs and 1 cat. Missy is Kimberley born and raised. She’s been in this area her whole life and now shares 5 acres with her husband, 2 horses, 3 dogs, and 3 cats. Many of you may recognize her smiling face from other clinics in the area. Missy brings 7 years of veterinary reception experience to her position at North Star Veterinary Clinic. You will love her warm, welcoming presence. She will make you feel at ease, and be happy to answer any of your questions. We are very excited to have Missy in our clinic. Come by and say hello!